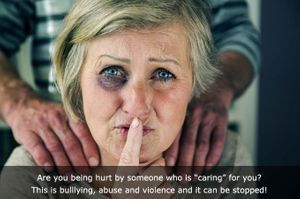 PHYSICAL ABUSE - Physical abuse occurs anytime physical pain or injury is inflicted on a senior. This form of abuse can come at the hand of strangers, caregivers, family members or anyone a senior may come into contact. It is often times "covered up" by the senior who may be threatened with more harm should they report it. Warning signs can include bruises, pressure marks or even burns. If you suspect someone is being abused, it always better to err on the side of caution and report it. You may be saving a life. SEXUAL ABUSE - Sexual abuse is defined as non consensual sexual contact of any kind. This kind of abuse will often times go unreported because of the shame felt by the senior. It is vital that these criminals be brought to justice so the abuse stops! NEGLECT OR ABANDONMENT - When seniors are no longer able to care for themselves, they rely on our help. Someone takes responsibility to assist with their care. Whether a family member or nursing facility accepts that responsibility doesn't matter. 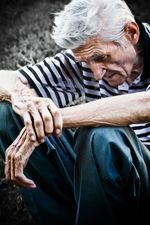 Elder abuse, namely NEGLECT is defined as a "failure by those responsible to provide food, shelter, health care, or protection for a vulnerable elder". Anyone who assumes that responsibility and then deserts that senior without making other arrangements for their care is guilty of ABANDONMENT. EXPLOITATION - The exploitation of a senior occurs when there is an "illegal taking, misuse, or concealment of funds, property, or assets of a senior for someone else's benefit". 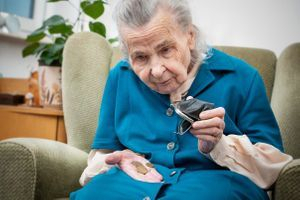 While there are many scams whose sole mission is to do just that, exploitation of senior can come at the hands of family members, friends, neighbors or anyone they come into contact with. 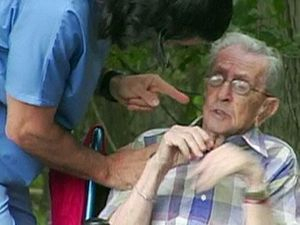 EMOTIONAL ABUSE - When someone inflicts mental pain, anguish, or distress on an elder person through verbal or nonverbal acts, e.g. humiliating, intimidating, or threatening, they are guilty of emotional abuse. Everyone deserves to be treated with dignity and respect but in many instances, seniors find themselves the subject of much emotional abuse. Making matters worse is that this type of abuse goes unreported. Seniors are not only afraid the abuse would worsen, but are fearful of the threats being made: "Who else is going to take care of you? You'll end up in a Nursing home". Make no mistake - that IS abuse! 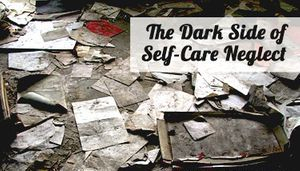 SELF-NEGLECT - If a senior fails to perform self-care that is vital to their own health and well-being and that failure places them in harms way, threatening their own safety, that is SELF-NEGLECT. Help is available through various agencies but in order to provide assistance, that self-neglect must be reported. If you believe a senior isn't caring for themselves in a way that puts their own safety at risk, report it! We're here to help! The IRS Scam - DO NOT be tricked into paying debts you do not owe. A very convincing telephone scam first targeting seniors has been so successful that they are branching out. 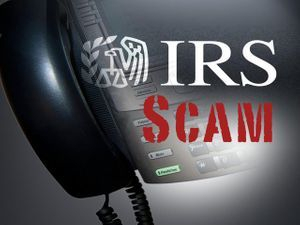 You're sitting at hom and receive a telephone call from someone claiming to be from the IRS. First - the IRS will NOT CALL YOU! They will inform you that there is a problem with your tax return or if you didn't have to file you they will claim you should have. They need you to correct the problem immediately or they will issue a warrant for your arrest, they will attach a lien on your house, they will report you to credit agencies etc. In order to avoid all of this you are asked to correct the situation immediately. You will be asked to provide them with bank and/or credit card information. In some instances, you may be asked to purchase a credit/debit gift card and then call them back. Before you even know what's happened, you're hard earned money is gone. If you receive one of these calls HANG UP! If you're not sure what to do, ask for a name and phone number so you can cal them back. Contact the police or the Council on Aging at (508) 676-1831 so we can help you with this. CLICK HERE to watch a video on more information about this scam. 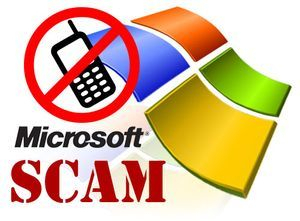 The Microsoft and/or Computer scam - This one has been around for a while. It must be going well for the thieves because it's still around. You'll receive a call from someone claiming to be from Microsoft or Windows Security. It's urgent they speak with you because your computer has been sending them several error messages. They are going to help you correct the situation. All you need to do is simply follow their instructions. First, they will need to access your computer remotely so they can see the errors (and everything else you have on your computer). They will show you some bogus files that are part of windows reporting and they will identify these as the corrupt files. They can resolve the issue for you. Once they have done so (and know everything they need to know like your IP address, server etc.) they will either charge you to remove those files or they will offer to sell you a maintenance plan. JUST SAY NO! Microsoft will NOT CALL YOU - I promise! NEVER allow someone to remotely access your computer unless YOU initiated the call for tech support etc., and even then, do so with extreme caution. The best thing to do if you receive such as call is HANG UP! CLICK HERE to learn more about this scam.